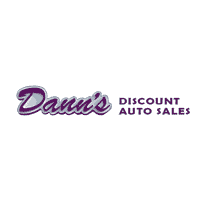 At Dann's Discount Auto Sales, we take pride in the fact that we have helped many of our customers’ dreams come true. Every customer that we meet has a unique situation, and we work hard to deliver the best solution for that customer. So let us help you get that vehicle you want or need. We have built relationships with many finance institutions and are skilled at getting the financing for you on your new vehicle. Dann's Discount Auto Sales team will help find the right vehicle for you and also structure a finance plan that everyone will be happy with. Please fill out our Credit Application so we can get you approved today.